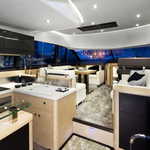 Moana is a name of sailboat Jeanneau Prestige 500 ,which has been manufactured in 2015. You can rent her from harbor Split in region Split. Moana is furnished with 7 beds. 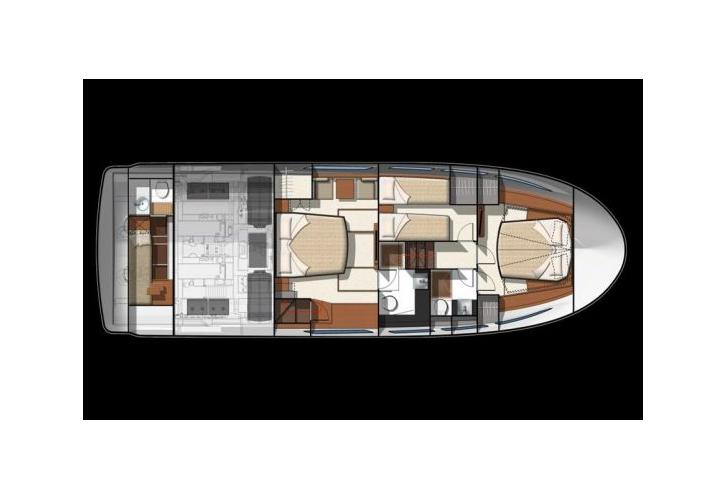 Berths on the boat are configured in 7 scheme. 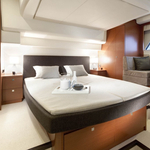 4 cabins are located inside the boat Moana. Browse for more offers in this site: Motorboats Split. 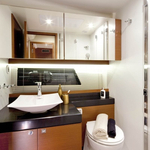 Crew members can feel comfortable on this boat , because there are 2 WC for their disposal. Moana is driven by motor 435. Sailboat's dimensions are: lenght overall - 15.30 meters , beam - 4.50 meters and 1.05 m of draft. 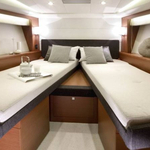 On the vessel you will find following equipment: Icemaker, Air conditioning, TV, DVD player, Autopilot, Gps plotter, Internet Wi-Fi, generator, Bow thruster, Outboard engine, Hydraulic gangway, Anchor electric windlass, Barbecue, Teak cockpit, Microwave. . Caution has value 5000.00 EUR. 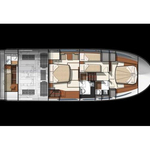 In our search engine you can easily check avalailability of yacht Moana from Split over here: Motorboats Croatia.